This is the best place I’ve ever been to. Staff is very nice and friendly. I have gone to two other dentists before and I changed my mind at the last minute because they make me feel very nervous, but this place got me very comfortable, and I wasn’t scared at all. The dentist is very professional and everybody there knows what they’re doing. Thank you pure Zen Dentistry! 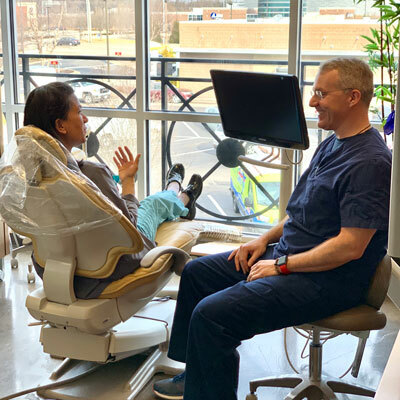 Whether you need preventive family dental care or it’s time to completely makeover your smile, our office is here to help you.We have a wide variety of services to meet all your dental needs. We practice patient-centered dentistry and strongly believe that you are the most important person in our dental practice! Welcome to our friendly and caring dental office. A lot of people tell us that there are places they’d rather be than a dental office. They appreciate Pure Zen Dentistry because we make it enjoyable, even fun, comfortable, and quick. Our patients can rest assured they will leave happy. This is why we enjoy what we do so much. Whether you are coming in for a dental cleaning or a dental emergency if we can provide the dental solutions you need, quality care, and put a smile on your face at the same time, that makes our day. Friendly, courteous service is our focus. You’ll notice this the moment you walk in the front door. We strive to make you comfortable. We recognize that many people are fearful of dental care. But we cater to cowards. In fact, our objective is to make you feel like you have been to a spa, not to a dental office. The aroma of scented candles will greet you. Clinical competence is at the core of all we do. When you understand that we take the trouble to do everything right, that is a key ingredient in putting you at ease. We listen. We want to know your feelings, thoughts, and opinions.